There are lots of destinations you can visit where renting a timeshare can be an affordable option. Disney World has a version of timeshares called Disney Vacation Club where you can rent from the owner and pay less than if you booked the room through Disney. So why wouldn't everyone rent DVC points if it saves so much money? Disney Vacation Club (DVC) is Disney's point-based timeshare system. Owners pay thousands of dollars to buy points which allow them to stay in Deluxe accommodations for the life of their contract. DVC owners don't always use their points so they are willing to rent them to people like you and me. There are 10 DVC locations at Walt Disney World, most of them being located adjacent or in the same building as a Deluxe Resort. Let's say that you've been thinking about staying at The Contemporary Resort, but wanted to check into Bay Lake Tower to see if is a better option. Step 1: See how many points you'll need for your stay. You would need to consult a DVC point calculator to help you figure it out. Step 2: You basically have 2 methods of renting points: using a point rental company or going directly to an owner. The DVC rental company that I use is DVCRequest.com. You'll usually pay a little more than if you work directly with an owner, but it's a more secure and professional process. You can also find a DVC owner with points to rent. There are DVC owners posting on message boards to let renters know what they have available. MouseOwners.com, for example, has a large community of renters and owners. To find a DVC owner with points available, go to their Points Available for Rent forum. Be sure to read the information there about how to find points. Some owners have points with expiration dates that might take place before your trip. Some owners have points tied to specific resorts. Look for an owner that has the number of points you need for your dates and contact them through their message board post to see if they still have them available. Step 3: Pay for your point rental. Once you find an owner who has the points you need, you'll need to pay for them. You can expect to pay around $16/point if booking through DVCRequest.com, but it could be a little less if booking directly with an owner. For example, if you computed in step 1 that you'd need 102 points for your reservation, it would cost $1,632. A standard room booked through Disney will often cost 50% more. Wellllll, you may have thought this sounded too good to be true. It isn't too good to be true, but there are always pros and cons with everything. 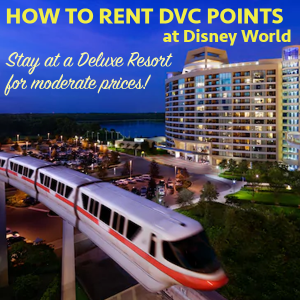 Here are the cons if you decide to rent DVC points. When you rent points, you are entering an agreement with the owner. That means you are paying the owner and they are responsible for making your reservation. Although the financial agreements of each transaction can differ, your best bet is to pay partial payment up front and then require a reservation confirmation before making your final payment. You can get references on the owner, see if they've had previous dealings on the message board you're using and/or speak to them on the phone to help you feel more comfortable. Disney resorts receive daily Mousekeeping visits, but DVC accommodations only receive a visit once or twice during your stay (trash service is now daily though). While there are a few different room sizes to choose from, we are comparing the standard rooms in this example. Standard rooms in the hotel resorts include two beds and often include a day bed, comfortably fitting 5 people. The studio DVC rooms include a bed and a pull-out couch, making it more difficult to comfortably fit. Using our example, the studio rooms at Bay Lake Tower are about 300 square feet. A standard room at The Contemporary is 422 square feet. The DVC rooms do have a kitchenette which is something the Deluxe Resort rooms don't include. One major exception to this are the Polynesian Villas Studios which are actually bigger than the Standard Polynesian rooms. It almost always makes more sense to book a Villas Studio than a Standard room. See the graphic below for a comparison. Many people looking into renting DVC points worry that their benefits as an on-site guest will go away. This is not the case. When DVC owners buy into their contract, they specify which resort will be their home resort. They are allowed to book at this resort up to 11 months in advance. That means you can also book up to 11 months in advance if that owner wants to rent their points. During popular times to visit, this can work to your advantage as you secure your room well ahead of time. This chart from DVCRequest.com can help you see when to book each resort. I understand that the room layout is probably smaller and that mousekeeping doesn’t come as often with dvc. Are the beds still the same though? I really like the hotel mattresses and didn’t know if those are different for dvc rooms? Is there a down payment required when renting dvc? I’m looking for July 22-28,2019 for AKL. Want to surprise my wife for our 2 year anniversary. If you have questions i would be happy to answer. How difficult is it to get DVC during high crowd periods? I normally tell people to rent dvd between the 11 and 7 month windows. If you do that it should not be an issue. When I want o stay at BLT I book when the 11 month window opens. If I want to stay at a popular resort I don’t own at I make sure to book at the 7 month window. I sometime have to wait list or split a stay but can usually get what I want. After that that larger resort like SSR are about all that you will find availability at. I’m looking for a 1 bedroom suite with tickets and a meal plan. I’m assuming when I use one of the sites to do a point conversion this doesn’t include either right? You can add (and pay for) a dining plan after renting DVC points. Tickets can be purchased from wherever you’d like. How do you go about getting a magic band when you rent through a DVC website? DVC reservations are linked in your My Disney Experience account and you can then order your MagicBand from MDE. i am looking to book november 12-19th at broadway or animal kindom dvc points…can you help me??? The infographic posted for Polynesian is incorrect. The studio has 1 toilet and 2 showers; it is not 1.5 baths which implies 2 toilets. The graphic says “half bath with extra shower” to try to help explain that it’s an extra shower, not an extra toilet. It’s such a weird thing to have 2 showers and only 1 toilet that it’s hard to know how to describe it. what is the per person adult cost for adding a dining plan when you rent via DVC points? CHildrens cost? I’m guessing you can’t pay for your trip using Disney gift cards if you rent DVC points? Correct. Using Disney gift cards has to be done in transactions w/Disney. Point rental is done through a third party. Hi! I’m looking to rent DVC points for an early 2018 trip. Does anyone know if you can add the reservation to your My Disney Experience? Thanks! Yes. I’m renting DVC points for 2018 and the reservation is in My Disney Experience. Just be sure that your reservation email address is the same as your MDE email. Now I’m wondering if we should rent points and try to stay somewhere nicer through DVC. However, will we end up spending more to accommodate our family? Do you recommend just going with our original plan? LOVE YOUR SITE!!!! It takes all my vacation planning anxiety and turns it into child like excitement! We have made an annual trip to Disney World for the past 7 years. The last 5 of the 7, we have rented DVC points through David’s. We have chosen to go through David’s to insure that our purchase is secure and risk free. Once the points have been paid for and the room is in YOUR name, there are no worries about cancellations. Having a villa has been so much nicer for our family than a standard room. I cannot recommend renting DVC points enough. You can get a room cheaper if you go with a value resort. But you can’t get one of the deluxe resorts at a better rate. The proximity to the parks and the luxury of the resorts make it more than worth it for us. Hi All. Hoping someone could help me out. I rented out DVC point. It went smoothly. However, I wasnt aware that I had to book the dining plan 30 days ahead of my stay with the rental service. Here’s my question. Does anyone know if I can contact Disney directly to add the dining plan now? If so cant it be down up to the week I would be traveling? I stay on 11/5 and would only be able to book the dining plan on 10/31. Tried to use a points broker to rent a villa. Broker said that a villa was available. I said ok I would take it. Then they turned round and said they had to find a member with points before they could confirm. They took two days to get back to me. Then told me that when the member who had the points went to book, the villa had gone and would I like other options. I asked them if they had a member with points to process the alternative booking. They said I would have to go to the back of the queue again and wait for a member with points. So a lot of mucking around with this process and ended up with no booking. I I decided to ask for my booking deposit money back from the broker. Would rather pay more and get a confirmed booking direct with a hotel whether it be Disney or non Disney hotel. This is what seems to happening to me right now. First I was told there was availability, then, after I had paid my deposit, there wasn’t for my exact dates. Now we are working on securing a split stay. I’m worried I won’t get anything I wanted, in which case we will likely cancel. I’m all about saving money, but I’m not enjoying this process at all. P.S. I started the whole process about 3 weeks ago and I’m trying to book for November. We booked an AKL savannah view room with club level access. We were able to apply a pretty good discount, but I wanted to compare to renting points for a club level room. I was told that for a club level DVC studio, a savannah view could not be confirmed. Any clue why that is? How do fast pass reservations work when booking a room with rented DVC points? Do we still get to book 60 days in advance? I’m doing my research on renting DVC points at the moment. I’ve read a few times that if you don’t rent points and book your accomodation at least 11-7 months in advance then you will probably only get to choose between SSR or OKW. Do you know if this is true during quiet periods like Sept? I’m thinking for making reservations as late as 2-3 months out. Yeah, it can still be true even during less busy times. Just to give you my recent experience, I just booked a studio (5 people) today at the Polynesian through the thedvcshop for September 10 through the 17th. I was told that studios go first so if that’s what you’re looking for I would probably book soon. They still had availability for the poly, the wilderness and the boardwalk, the GF had already sold out. The food and wine festival is starting very early this year, I believe it is Sept 14 th or something, so I imagine that might affect the Epcot resorts. I am paying a fraction of what it would actually cost to stay at the poly and am SO excited. Thanks for that. We have ended up booking 7 months out which was good because we needed 13 nights and it was hard finding that many nights at one resort that we wanted. We ended up splitting the stay to 1/2 at Bay Lake in a studio and 1/2 at Animal Kingdom Lodge in a studio which I’m actually really excited about now. We did ask about Boardwalk and Beachclub and they were not available. Like you suggested I think this is down to the Food and Wine Festival. So excited as we would never have been able to afford this many nights at a deluxe without renting points. Will check out the Poly while we’re there for sure. Did you find any reviews on the DVCShop. I’ve found them to be cheap but am having trouble finding any information about them…. I went with Davids DVC in the end just based on the testimonials, reviews and other websites that endorsed them. Went ok but I ended up dealing with about 6 or 7 different people which was a bit confusing both sides at times. They don’t line you up with one person which was what I was expecting. Worked out in the end ok though. Do you need to purchase a Magic Band when you rent DVC points through DVCRequests.com? Your magic band will be included just as if you had booked through Disney. We used DVCRentalStore.com on out October trip. Everything was as seamless as when we booked through Disney. I’m so glad we did it. Now we want to buy DVC points. How does dvc work with MDE? Will it show up in the app? So I can book dining and fp+ same as if I booked a resort room directly thru Disney? And what about Magical Express Transportation to/from airport? Hi! Just wondering about room size. 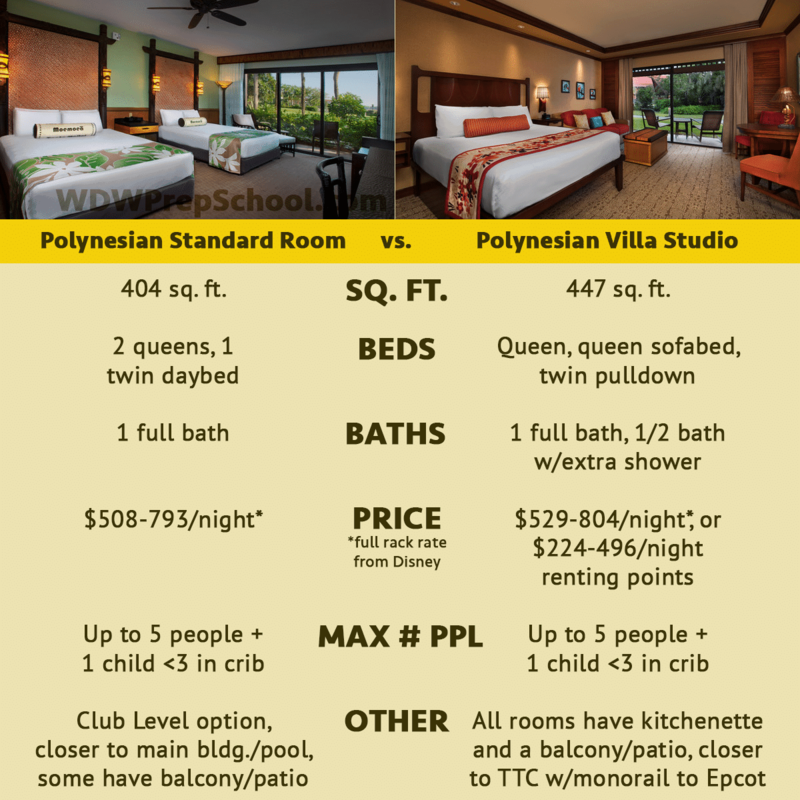 I know you mention that most of the DVC rentals (w/ the exception of the larger, more expensive options) are smaller than the regular Disney Deluxe rooms, however, how do they compare in size to the moderate rooms? We can stay at the swan for my mothers points and 340.00 for the week. In the long run for us it going to be cheaper ? after we add all the amenities meal plan. park tickets . Basically what do you see as the pros and cons of this choice versus staying at the Caribbean / french qtr or at AOA ? We have a 6 year old .. and want her first trip to be the best ! I read on a site somewhere if you rent DVC points for your reservation, that one thing you do not get that DVC members & those that book directly through disney get is wifi access? Do you know if this is true? Just wondering since so much of the planning is done online/my disney experience app. Thanks! While I’ve never rented points (I’m a DVC member), I can say that I don’t believe you’d have a problem with wifi since all you do is accept their terms… not actually log in using a room number or anything like that. Also, my cousins have met me at the resort for lunch before & they all used the wifi for their children & Facebook. I just rented points for BLT (1st time on site… So excited!). The DVC Owner I booked through says I can use their perks like; 10% off dining, pool hopping.. Etc. Is this true? It seems to be unclear on the forums. Thanks! I’ve been researching renting DVC points, and so far, every website says you can use the transportation system, add dining plans, take advantage of extra magic hours,etc– but all state that renters will NOT receive the discounts like the actual DVC member gets. We are a family of 6 (kids will be 8, 6, 4 & 4) planning our first Disney trip. Because of the size of our family, I’m thinking a DVC villa might be our best option. We’re interested in renting points, but since it’s our first trip I’d really like to go through an authorized travel agent to plan the logistics of the trip for us (dining and extra activities like Bibbidi Bobbidi boutique). Do you know if the agents can still plan these things for you if you rent points? Thanks!! The owners are not travel agents so you would need to book dining ADR, get your tickets, special experiences.. Etc. The only thing they have to do if you want it, is add the Disney Dining Plan to your hotel room. If you want someone to plan everything for you, Travel Agents the way to go.. But if you do everything yourself, most of time, it can save you money. Hi, I love your site so much! Great GREAT job! I am planning a trip to Disney World in December of this year and am having the hardest time making decisions about hotels! If I booked through DVC (I am looking at DVCrentalstore.com, is it a good place to use do you know?) would this affect my ability to make restaurant reservations 180 days in advance? I am also wanting to have a stroller delivered to the hotel- would that all work the same way? I am just scared of booking through DVC and overlooking something that I will wish I had known. I’m assuming I would still buy my park tickets, dinner reservations etc through the Disney website? Oh and could I still charge things to my room and have items delivered while in the parks? Sorry for such a long question! Thank you!! Everything that you mentioned will work fine if you book through DVC. The biggest thing that you can’t do when booking DVC is take advantage of promotions offered by Disney. You could even add the Disney Dining Plan if you’d like. I recommend DVCRequest.com as I’ve used them a couple of times and had good experiences. I wrote about them in the post above and if you click the link in the post, I get a referral fee for sending you their way. Hope that helps! Love all the help and hard work you’ve put into your site. I am in the early stages of planning for our trip in January 2015. The three previous times I’ve stayed at The Dolphin and would like to be in the same area, but pay much less! I loved the Boardwalk Villas and found info on your website regarding renting from DVC owners. I saw “David’s Vacation Club” as an ad on your site. Do you recommend him? Since he is in Canada, I feel a bit worried about sending $98 to start the process. Also, does BWV have water taxis to Epcot & Disney Studios or do we have to walk. Thanks again for all your help! On the question of whether renting points is better than free dining or discounted lodging, the savings in renting points isn’t quite as extreme if you know you would be able to get the accommodations you want under the free dining or discounted room reservation, but it is still a better deal to rent points. In my case, which would be typical for a deluxe accommodation for a family of four, the value of free dining was just a little better than taking the room only 30% discount, but renting points and buying the dining plan would still be cheaper. Also, if you rent points, you don’t have to wonder if they will be offering the free dining or discounted room for when you want to travel. You can secure the reservation 11 months ahead while they still have the exact room type that you want. For the way we eat, we actually found that it will not be worth buying the dining plan – we took the menus found inline and simulated what we would order for each meal, Quick Service and Table Service, and found that unless we went to the most expensive places and ordered the most expensive thing on the menu it would not be worth buying the dining plan. One other point, for budgeting purposes, remember that you will be responsible for tips whether you have free dining or not. We go to Disney often and have stayed at all of the values and moderates. I wanted to try something nicer, but didn’t have the money to pay Disney directly. 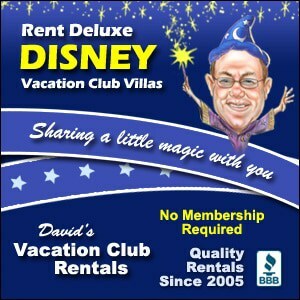 Therefore, we have rented from DVC members twice in the past. I rented a studio at SSR for our mommy & daughter (7 yo at the time) trip a couple of years ago. It was nice and convenient to have the balcony and kitchenette. Then, last year, we rented a one bedroom at VWL to accommodate all 4 of us. Wow! That was WONDERFUL! WL has always been my “dream resort” that I never thought that I would be able to afford. It didn’t disappoint! I especially liked having a washer and dryer because our littlest tot (16 months old) soaked his sheets and PJs every night. Since I knew that I was going to do laundry everyday anyway, I only packed a couple of outfits for each of us. That made my life easier coming and going. The full kitchen was great. We were on the dining plan, so I didn’t cook any full meals. However, since we were going to be there for an entire week, I did order some groceries from Garden Grocer for breakfasts, snacks for the kids, gallons of milk and even diapers for the little one. The split bathroom was also fantastic! No fighting for sink space and the big kid could take a shower while I gave the tot a bath. I am not sure that I will be able to ever stay in a “normal” Disney room again. I am so spoiled, now! I am looking at the DVC BC studios for my hubby’s surprise 30th Birthday, even contacted the Gifts of a lifetime pixies to help with a scavanger hunt to let him know on his birthday that we are setting sail on DCL the next day. I know you stayed at the BC, how was the studio? Are they set apart from the normal rooms? Any advise? Thanks. Oh and also, saw your recommendation for Candy Cane Inn on DL stay, checking it out for our 2 year Anniversary trip. Looks so cute. I don’t normally like hotels with doors out in the open other than Disney property of course, no issues there? My daughter turns 8 the end of July. My husband is a reluctant traveler. I may have him on board for a VERY last minute trip to WDW as a birthday surprise for our daughter. We would only be staying 3 or 4 nights. Due to the lack of planning time, it looks like there are no resort discounts for the end of July/beg of August. Are DVC point rentals a good option for last-minute travel? Thanks! Only if you are willing to stay at Saratoga Springs Resort. DVC properties book up even earlier than the other hotels. There might be some discounts you can still use. I suggest the travel agent who is listed in the sidebar on the right side of the site. She’s very helpful and can search for good rates for you. Hi.We’ll be going to WDW for the first time in middle August for 14 nights.Would the DVC points be the best option for a family of five(2 adults&3 kids)?Since there will be deals and discounts in some of the hotels.Please help !Am overwhelmed. Question not related to DVC points, but the free dining mentioned in one of the comments above. We are planning on going in late August, and I haven’t seen anything regarding free dining. Am I missing it? We have already purchased a package, but wanted to make sure I’m not paying for something I don’t have to. Thanks a billion, and sorry to get off subject. I just found your site, and I think you’ve put together an amazing resource for Disney World travelers! I’m sharing some of your posts with our audience at redweek.com – the Disney World properties are consistently part of our top 25 most popular resorts worldwide. We have many DVC owners who have posted their own weeks for rent or resale on the site… but not nearly enough. It seems to me that DVC owners are some of the happiest timeshare owners out there, because they like to use their weeks! Thanks so much for this very informative post! I’d never really considered purchasing DVC points before but it seems like a great option and opportunity to try some of the deluxe resorts we wouldn’t be able to otherwise. I’ve always been intrigued by OKW, but am wondering if it’s too far off the beaten path? Can you still use the Magical Express service if you do this? Thanks for such a quick response. We have 5 in our family, our youngest will be 4. We have no problem with sleeping arrangements, but it is wise to have space to spread out. I’ll be sure to check uot your 6 steps! WOW! I am feeling totally overwhelmed with choices and how best to plan our first trip ever this fall. Is it best to just get a hotel, free dining and tickets, or is a DVC the way to go? We want to be able to swim, maybe go back to the room if necessary. It also scares me to think of losing money if someone is not honest. What are the abbreviations you used above, Melissa? How many people are in your family? I wouldn’t recommend DVC for most people since the studio rooms are so much smaller than a typical Deluxe hotel room. 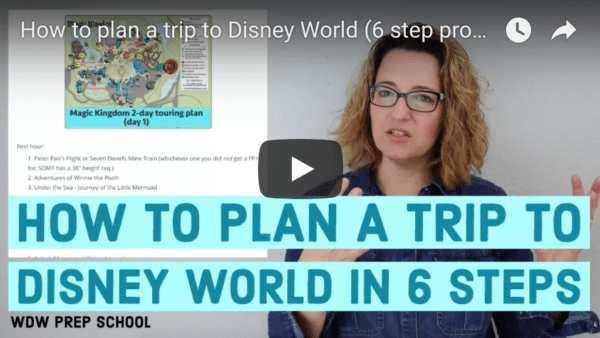 Be sure to go through my 6 step planning process which you can see in the upper left part of the site (“How to plan a WDW trip”) and you can work through each step to make it less overwhelming. We love to rent DVC for 1 to 2 nights before our week long stay at YC. Gives us a chance to try out a new resort VERY CHEAPLY. We have stayed at AK, OKW and BWV. My favorite by far is OKW. In fact the rate is so reasonable there in the summer I opted to stay there 3 nights for roughly the same price as one night at YC. So my trip includes more OKW this time. Something really nice about OKW is they are HUGE. Rooms! And recently refurbished and the only DVC studio with 2 queen beds. The rest have as Shannon said 1 queen and a pull out. My only gripe about DVC is the renovations are few and far between. Style and decor are really important to me. I hate shabby rooms. So I waited for OKW to go thru a refurb before booking again for this summer. I really recommend renting points. We have done great with it! As Melissa pointed out, the OKW studios have two queens – not a queen and a pull-out sofa. The one bedrooms there are my favorite bang for the buck. At over 900 sq ft, that does have a twin pull-out chair and a pull-out sofa in the living room, along with a king bed in the master. Free Dining is a promotion that only applies to people who book packages that include hotel and tickets, but doesn’t apply to DVC bookings. You can add the dining plan to your DVC booking but you won’t qualify for free dining.